NB! THE CONCERT IS SOLD OUT! 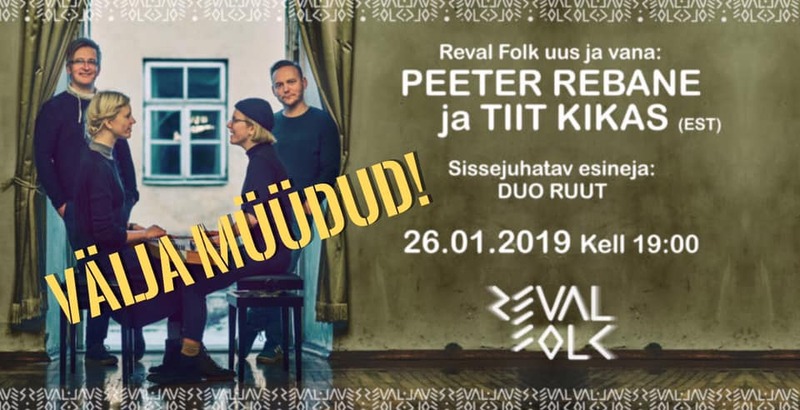 To start off the new year Reval Folk is bringing together a duo of legendary Estonian folk musicians – Tiit Kikas and Peeter Rebane – who have not performed with each other in more than five years, but who performed at the Viljandi Folk Music Festival before it even started! Our opening act is Duo Ruut, who play the Estonian traditional instrument rahvakannel with four hands. On this evening we will build a bridge between different generations of folk musicians. For the first time in the history of Reval Folk technical equipment will be used during our concert to honour the fact that Tiit Kikas was the first musician in Estonia to use an electric violin and looper in his music. 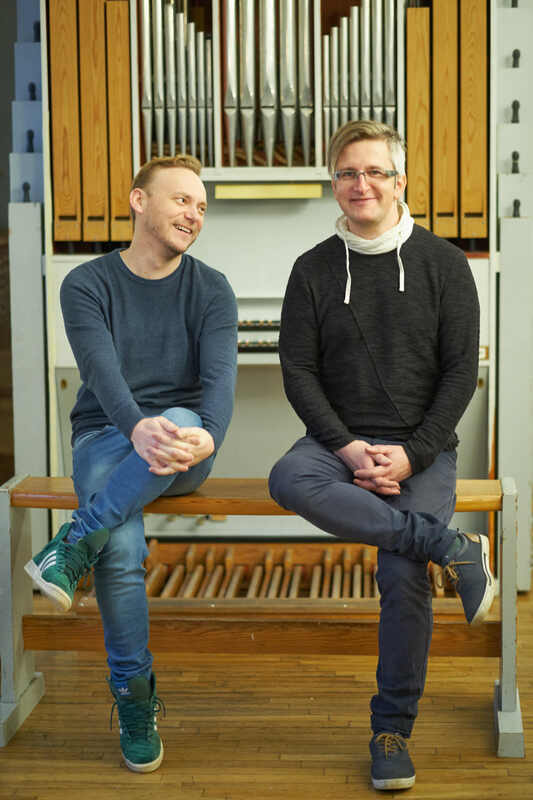 are musicians from Tallinn who have contributed to the life of Estonian folk music for more than 20 years with groups like Folkmill and Dagö. Both artists have cooperated with several Estonian and foreign artists, participated in many musical initiatives and completed solo projects. Peeter Rebane and Tiit Kikas will perform at this Reval Folk event after a five-year hiatus. They will play older acoustic tunes as well as newer pieces from recent years. The introductory act is Duo Ruut, two young women (Ann-Lisett Rebane and Katariina Kivi) from Tallinn’s Old Town School (Vanalinna Hariduskolleegium) who have won an amazing number of awards during their few years of existence. They play a traditional Estonian instrument, the rahvakannel, with four hands. The concert hall, Old Town Music House (Vanalinna Muusikamaja, Uus 16c, Tallinn Old Town) will open at 6 pm, 1 hour before the concert, everyone is welcome to pick up a cup of tea at our cosy café before the concert and have a little chat with their friends. In our café you will meet our already legendary café owners Kairi Kaia Truusa and Imre Lipp from the Koht and Rebane bars. For the joy of all parents, we also have a children’s room with activities on the second floor of Muusikamaja during the concert. 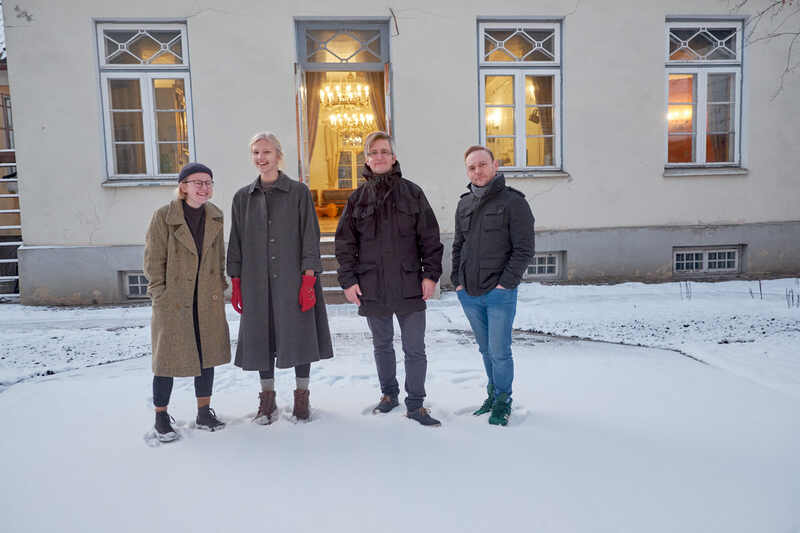 is a civic initiative that began in cooperation with NGO Reval Folk and the folk music department of the Tallinn-based Estonian Academy of Music and Theatre. Our aim is to help people connect to their roots in the busy-minded Tallinn, the capital of Estonia. TOETAJAD/SUPPORTERS: Eesti Kultuurkapital, Eesti Muusika- ja Teatriakadeemia, EMTA pärimusmuusika eriala, Tallinna linn, Dipri trükikeskkond, Veebimajutus.ee, Koht, Elustiiliportaal Bioneer.ee, Tallinn in Your Pocket, Põhja- ja Baltimaade Mobiilsusprogramm ja Tallink. PARTNERID/PARTNERS: Eesti Muusika- ja Teatriakadeemia, Vanalinna Muusikamaja, Eesti Muusikaõpetajate Liit, Eesti Folkloorinõukogu, MTÜ Fenno-Ugria Asutus, Eesti Kandleliit ja Tallinna Tantsuklubi, Ticketer.ee, Tallinna linn, Euroopa Kultuuripärandi aasta 2018, Klassikaraadio.